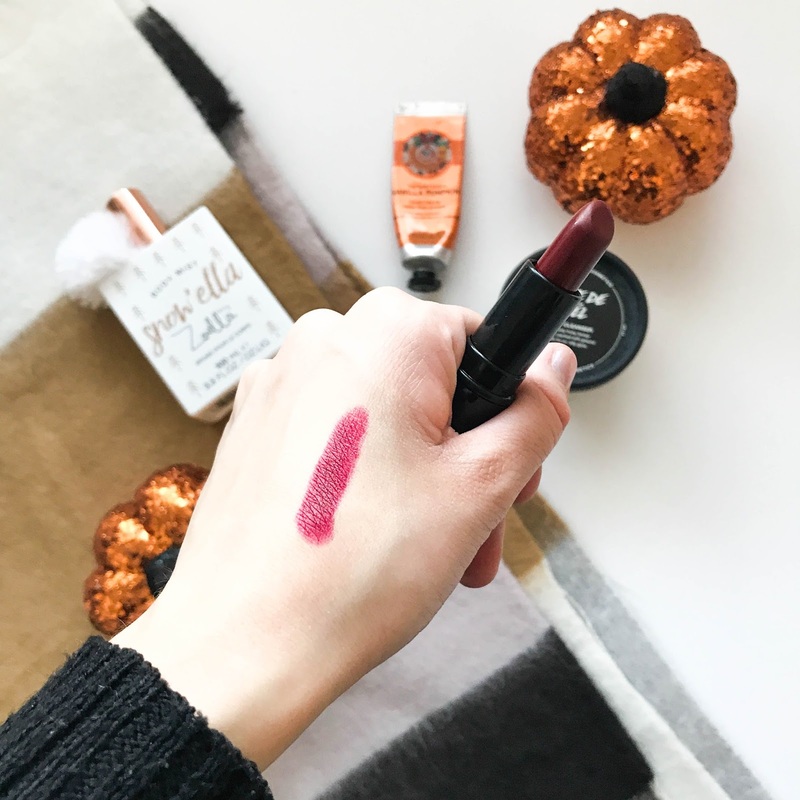 Sooooo... October flew by and this could potentially be my latest ever favourites post but hey - I couldn't miss one! Either way, I have been super busy over the last 2 months that writing this just sort of slipped my mind. Oh well, better late than never eh!? Do you still like reading these kinds of posts? Are there things you prefer to read instead? Please let me know! 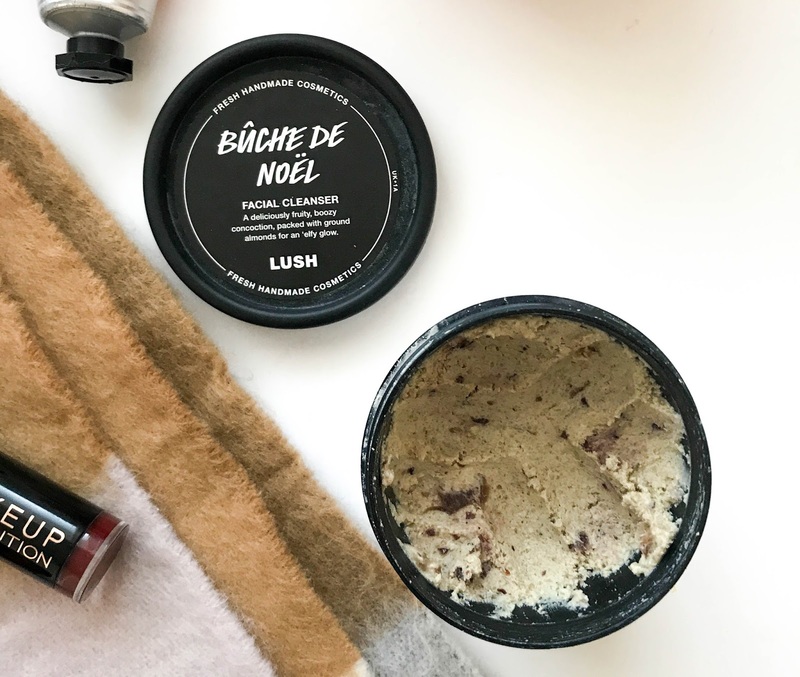 I sang the praises of this cleanser over on my What's in my Lush Christmas Goody Bag & Haul post, but I wasn't stopping there! Lush skincare has always been up there with one of my holy grail skincare brands and they weren't about to lose that status any time soon! This cleanser has worked absolute wonders with my winter meltdown skin, cleared up all of my dry bits and totally balanced out my oily patches. It's gentle on the skin, slightly exfoliating (which can be dulled down by adding water) and it makes my skin look so bright and healthy! It's definitely my new favourite cleanser. After seeing the hype surrounding the Vanilla Pumpkin range when it came out back in September, I knew I had to pick it up. The smell is very sweet with a hint of spice and definitely one of those smells that you will either love or hate. 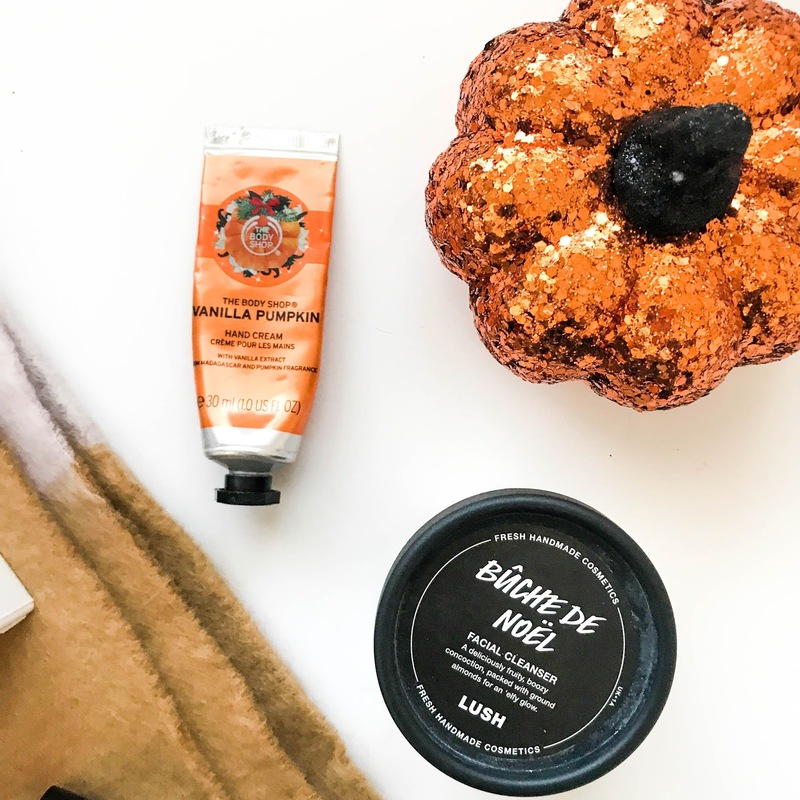 I personally really love it and it's been super nourishing for my hands during October, as well as making them smell wonderful! I'M MR RECKLESS WITH A CAPITAL R.
I actually got this wonderful little creation in my Makeup Revolution Halloween Goody Bag and I'm so so glad it was in there. I'm surprised I'd never actually seen this around before because MUR are literally one of my favourite budget beauty brands. Every year, their products get better and better in quality and I can't fault this lipstick a single bit. It's super pigmented, a gorgeous reddy, plum shade and it's only £1. ONE WHOLE POUND (!!!) It leaves a creamy finish and stays on really well without getting all over your teeth! The packaging is sturdy and I don't find that it's one of those lipsticks where the lid falls off in your makeup bag either. I've been wearing this pretty much every weekend since getting it and couldn't recommend it more - espeically for stocking fillers! OMG. Could this actually be the best and cutest smelling body mist Zoe has ever released? 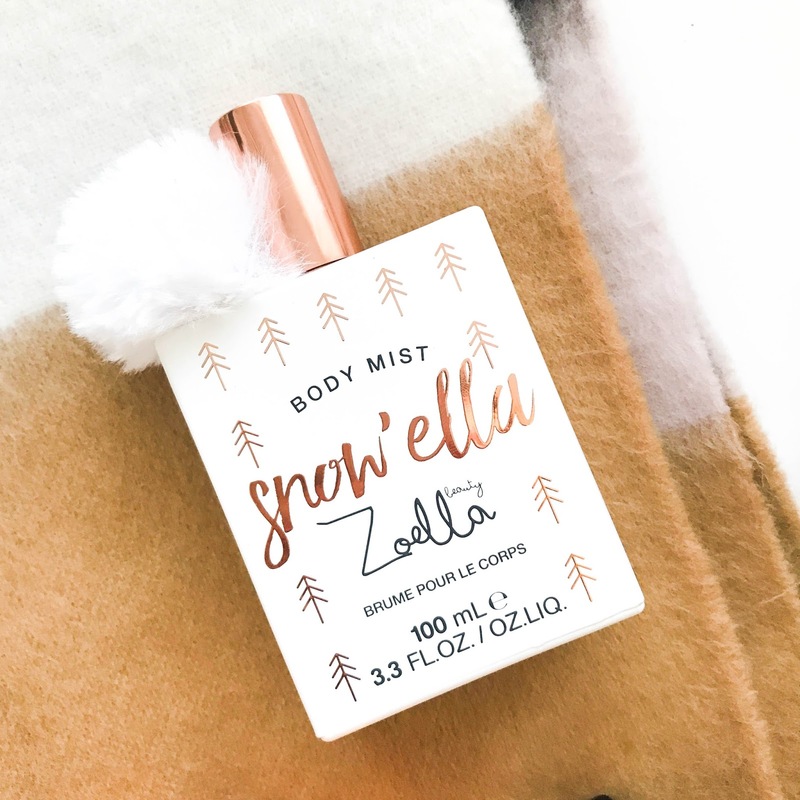 I had high hopes for this scent when it came out and admittedly, I'm always late to the Zoella Beauty bandwagon but once I'm on, I literally want everything! First of all, the Scandi-inspired white and rose gold glass bottle WITH A POMPOM makes me want to die with Wintery happiness alone. Secondly, the smell is actually incredible and it's very different to any smell Zoe has ever released. It's ridiculously fresh, smells like a spa/Zara home (..trust me on this). I love that for £10, you get a very generous sized bottle AND considering it's a body mist, the smell actually stays on your skin for a long time - a lot like a perfume would. If you haven't smelt this, I strongly urge you to because I am basically 100% in love with it and I think you will be too. IT'S OFFICIAL. I FINALLY FINISHED IT AND I DON'T KNOW HOW TO FEEL OR WHAT TO DO WITH MY LIFE. Whoever created this idea for a show was a genius because it's so damn addictive! I'm a bit annoyed with myself for binge watching it but OMG. SO MANY QUESTIONS. I won't post any spoilers just incase you haven't seen it but it's so intense! Maybe even more so than the last series?!? On that note, that's all for last month! Sorry it's so late and do let me know your opinions on favourites posts and if you still read them! I am trying to get my hands on the bodyshop vanilla spice range to stock up! 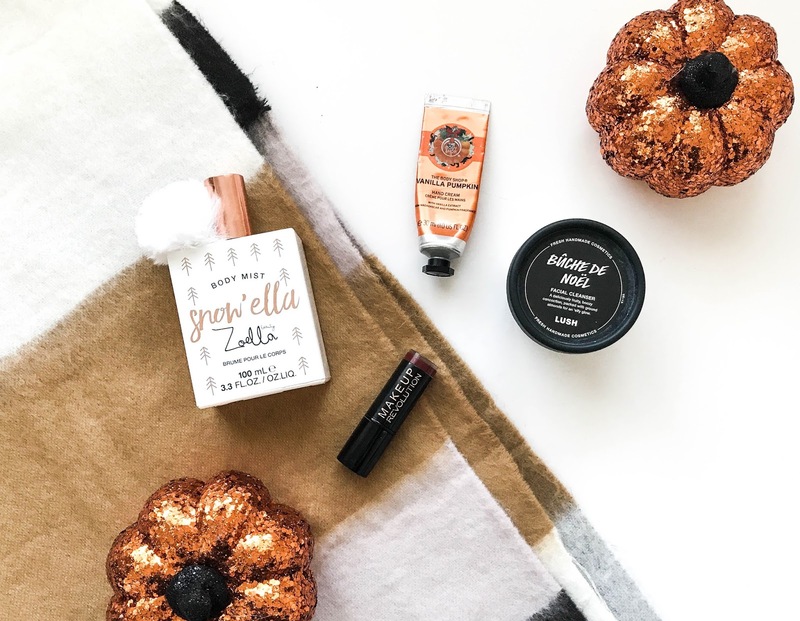 The vanilla pumpkin hand cream is amazing! favourites posts are ALWAYS my fave, just not my bank balances fave...i always find SO many new things i want to try out that i just end up ordering tons haha. mmhmm lush kill it every single time, i've been using the mask of magnaminty pretty much every single week since i got it and can really, really see the benefits on my skin. im soft as a baby's bottom!! also stranger things, ugh. YES. i'm so obsessed with this show..ive been obsessively watching interviews/ shows/ literally ANYTHING with the kids in it to fill the huuuuuge hole in my heart since it finished! hurry up season 3!! Thank you for some feedback, that's good to know :D I still love them too and I know what you mean, I always end up splashing out like a crazy person haha! Haha!! Mask of Magnaminty is amazing - it's been ages since I used that. Deffo going to pick it up soon though! OMG SAME! I think we are the same person?!! Fingers crossed season 3 isn't too long away? !